New Blog Design + Design Biz Re-Launch! You guys, I am so excited to launch my new blog design and new blog design packages! I have moved over to Square Space from WordPress (gasp! ), and will now be offering WordPress AND Square Space design. The main reason I moved was simplicity, but I’ll talk more on why I moved later along with, possibly, some posts with tips for anyone else who is thinking about using Square Space. For now, I just wanted to share the new design! I hope you guys love it, because I do. 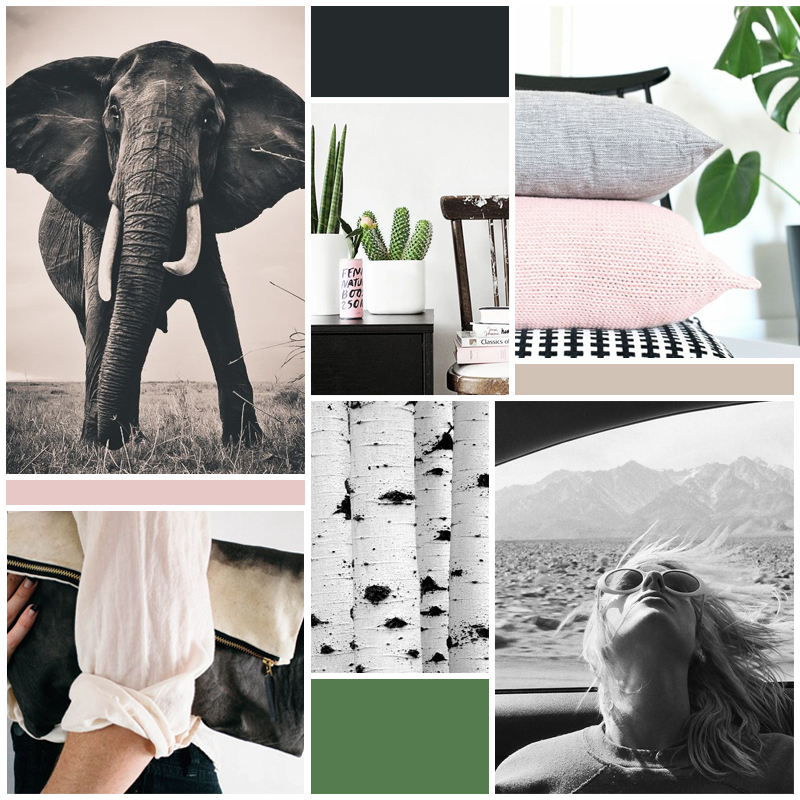 Above is the mood board I put together for the new blog design and I’m just loving the way it came out. Now let’s talk about the new blog design packages I have for you guys! After going on Maternity leave for several months and doing a lot of planning, I’ve come up with a new process as well that will ensure that design projects get done in with one week or three weeks depending on the design package you choose. One main difference in my blog design business is that I will only be booking one design project at a time. That means one big project, and the client behind that project, will be my main focus from start to finish. As a disclaimer I want to add that I will still do little projects here and there as they come up, but my main focus will be my one client! I think this is going to be great for me and for my clients. It’s because of this we will be able to go from start to launch of the design in a much shorter time than I previously offered, and that most other designers offer. RELAUNCH SPECIAL: Book one of the above design packages with me by September 10th and save 5%! That’s $15 off the Blog Design package and $50 off the Blog & Brand Design Package. That’s it! Of course, if you have other needs we can put something together for you, but I like the simplicity and predicability of the new packages that I’ve put together. If you want to learn more, you can check out the design page and scroll down to the form at the bottom to contact me if you’d like to talk about hiring me. I am currently booking for late September 2015. Thanks for putting up with the silence over here for the last couple of weeks while I got everything organized. I’m excited to kick everything off with a bang starting this week!